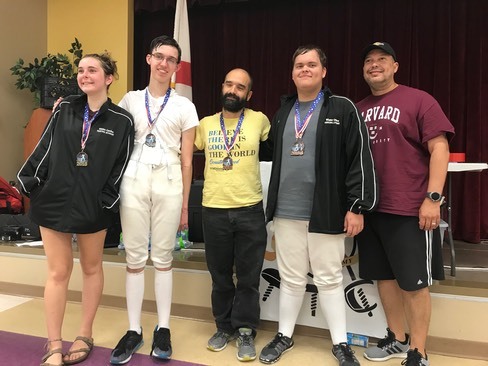 Our 2017-18 season finished with a national gold medal and a new “C” rating, hard-won by Maia Slowinski.� Barely into the 2018-19 season, Sam Harris brought home a new “C” rating in epee from the University of Florida’s “Duel in the Swamp”.� Just this past weekend, we have a new “E” foilist, two golds, a sliver and a bronze!! Our 4th�annual “WGFA College Colors Tournament” featured 15 teams across two weapons, a youth event and two unrated senior events.� Due to the birth of our daughter last year, we made the decision to skip the tournament and expected a much smaller turn-out.� We were pleasantly surprised by the opposite!� Though smaller than in the past, our team tournament continues to be the largest in the state of Florida and it coincides with “National College Colors Day”.� In 2013, WGFA held an impromptu in-house team tournament where all of our students chose college teams and fenced for honor.� They all wore their favorite team shirts, yelled battle chants and had a blast being just a little obnoxious.� The following year, we turned the event into a fund-raiser for education, donating proceeds to a school offering to provide the space needed for a larger tournament.� Lakeview Middle School (Winter Garden) hosted for the for first two years, and Washington Shores Elementary (Orlando) hosted the next two.�� The purpose of “College Colors” is to promote higher education and all participants are encouraged to represent their college or university of choice. 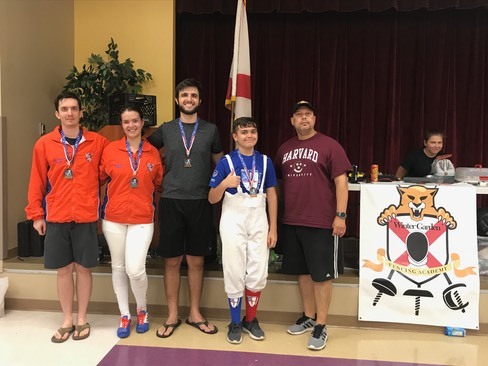 Nicholas Walsh (OFC) snatched his own bronze in the unrated mixed epee event, with the gold and silver travelling back to the University of Florida. The unrated foil event was mostly comprised of WGFA and OFC fencers, and they shined!� First place and an “E” rating was awarded to Kelsey Beck after defeating fellow WGFA fencer, Eric Weakley, 15-12!� A close bout indeed!� That left the tie for bronze going to Martin Rodriguez (OFC) and Nathanael Vanetta (WGFA). 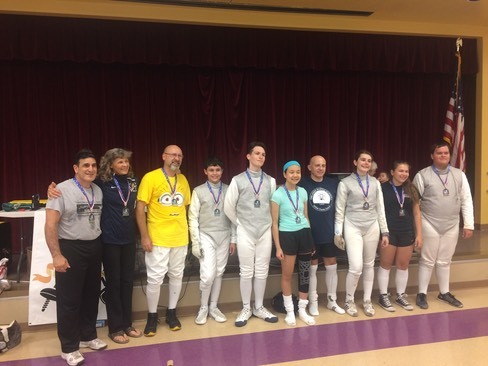 Leaving once again as the epee team champion was the Russanov family, Boris Sr. ,Boris Jr and Dennis.� Miami Lakes Fencing Club took the silver, and D’Alerta Fencers earned the sole bronze. �Lastly, and by far our most favorite event, the foil team gold was won by “The Citizens”; a rag-tag group of veteran-aged coaches from different clubs.� Congratulations to Georgina Love, Daniel Bucur and Nestor Grajales.� Silver was passed to the “OSHS Fighting Orkkas” with the bronze going to WGFA’s “The Inner Circle”; Slowinski, Beck and Vanetta. 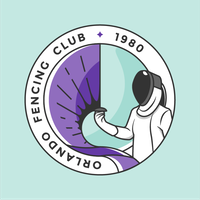 �For the organizers, the day was tough and long.� The fencers and families seemed to have a great time and even provided some very positive feedback.� It’s a tournament worth doing each time and it’s for a good cause. �Much thanks to the school’s principal, Dr. Nate Stephens!